Australian biohacker Meow-Ludo Disco Gamma Meow-Meow has made himself into a real-life cyborg. In April 2017, Meow-Meow implanted a chip in his hand. 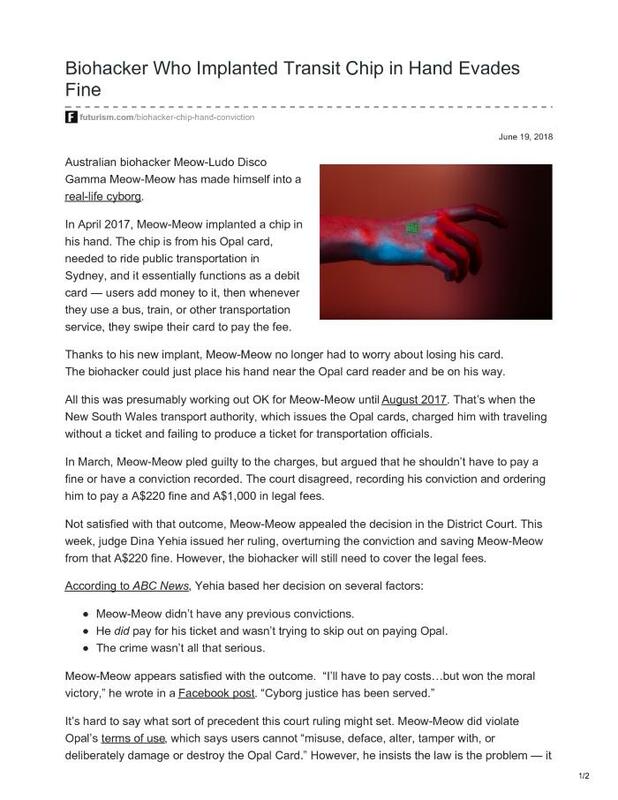 The chip is from his Opal card, needed to ride public transportation in Sydney, and it essentially functions as a debit card — users add money to it, then whenever they use a bus, train, or other transportation service, they swipe their card to pay the fee.